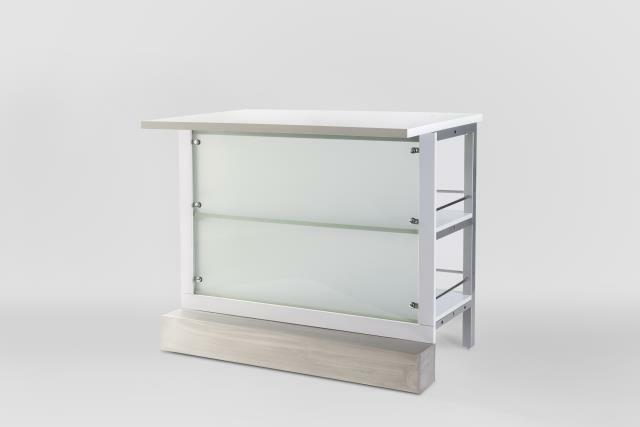 The modular bar a very versatile piece! Rent the combination of this Middle Section and the corners to get the size that fits your event! 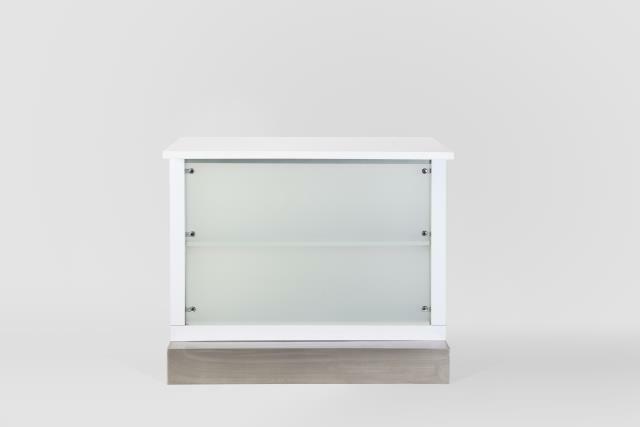 Available white leather or frosted glass fronts. Separate corner section is 36" X 36"X 40"
* Please call us with any questions about our bar modern middle section rentals in Columbia and Jefferson City MO.